With all the Valentine’s Day specials, posts, and comments filling the Internet world as I’m writing this, what I’m thinking of is not the usual love everyone is talking about. I’m still awake right now for the love of crabs and other seafood! 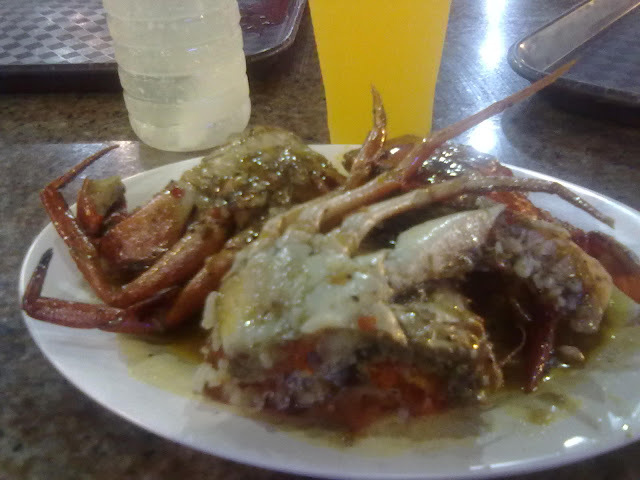 The love for crab and other sea food led me as far as to make a Facebook page about it. 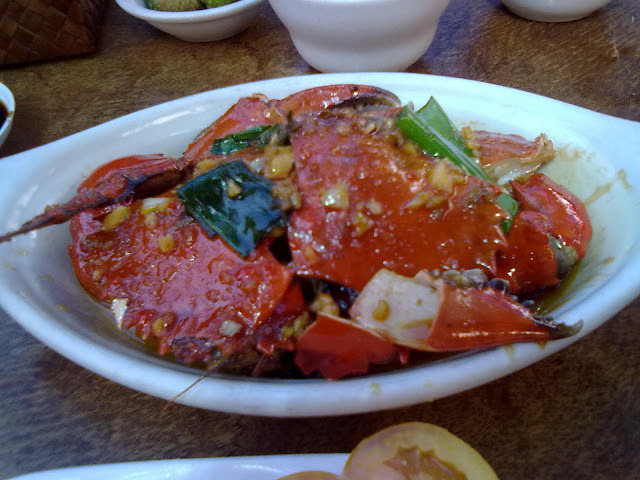 A Review on Matutina’s Seafood Restaurant and of Course the Crabs! I’m no food nor resto critic but I certainly love to eat and I love eating out in various restaurants just to try the menu. Matutina’s Seafood Restaurant in Nancayasan, Urdaneta, Pangasinan never crossed my mind except for a food trip recently. And so we dropped by and dine. The ambiance can be similar to a tambayan place – cozy and homely. It was breezy outside and the AC was cool enough inside. We chose the tambayan-like setting outside. You can actually wait at the benches lined up at one side before you sit down and order food. I suggest you do the latter first as the menu is not served fast. Well that’s a given since it’s not a fast food chain anyway. As for the prices, it’s not cheap but it’s not too expensive either. It’s just enough for the budget. I got a seasonal priced order though so it was twice or thrice the price of regular meals and deals. Can’t blame me, I love sea food especially crabs, shrimps, and lobsters! The Italian foursome tourists on the opposite table even ordered the exact same thing I did – buttered crabs! It was obviously a sumptuous meal especially since I love this type of seafood to begin with. But how it was cooked was even more delectable. They were unfortunately no food mallets for sea food with hard shells though and I didn’t bother to ask for one. I simply bit off the shell as if it was the meat. I scooped the meat with the crab’s own shell. I also generously poured the butter sauce all over a few spoons of rice I have. I don’t eat rice much but I ate all of the crab. I even gulped down what remains of the sauce along with the soup and a few glasses of the bottomless ice tea. Aside from the food and ambience, I’ve noticed the type of crowd who dines at Matutina’s. Most of them were sporting expensive vehicles. I’ve seen an Audi, a BMW, and a Mercedes Benz. I can tell that they were a lot of rich folks and foreigners. 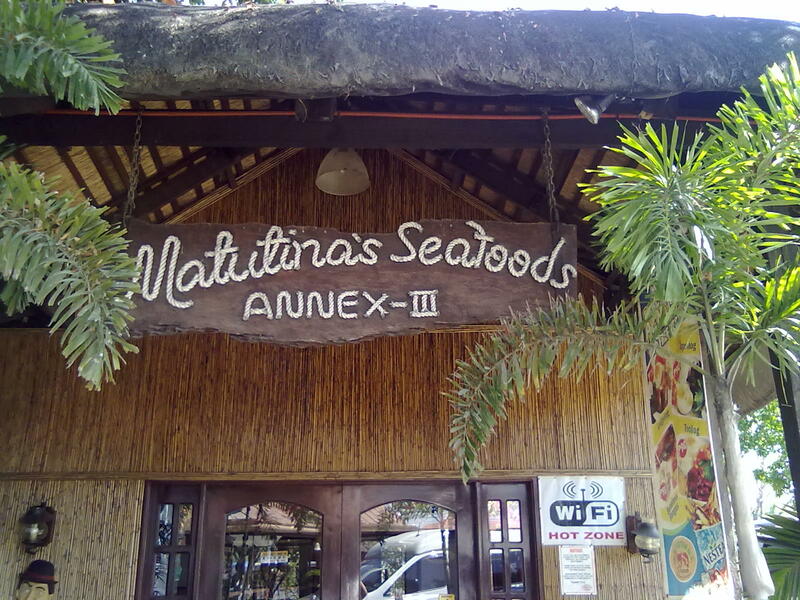 So with the Panagbenga festivities up in Baguio and you’re driving along the highway, might as well drop by Matutina’s Seafood Restaurant at Nancayasan, Urdaneta, Pangasinan. It won’t be your tambayan but you won’t regret having to dine even for once. 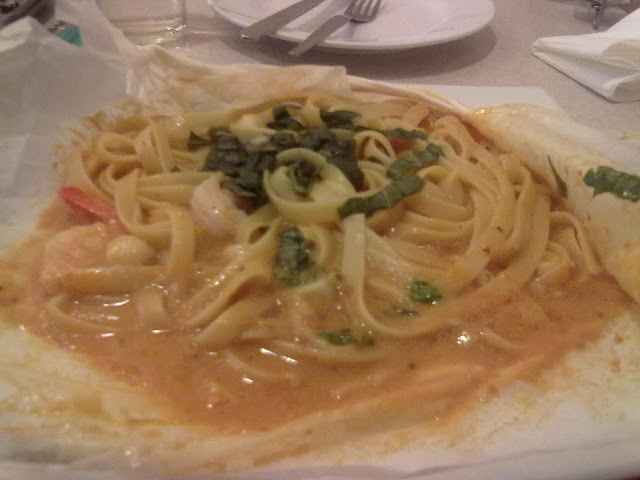 I love the Seafood Supremo the moment I first tried it. I paired it with a chocolate milk shake. 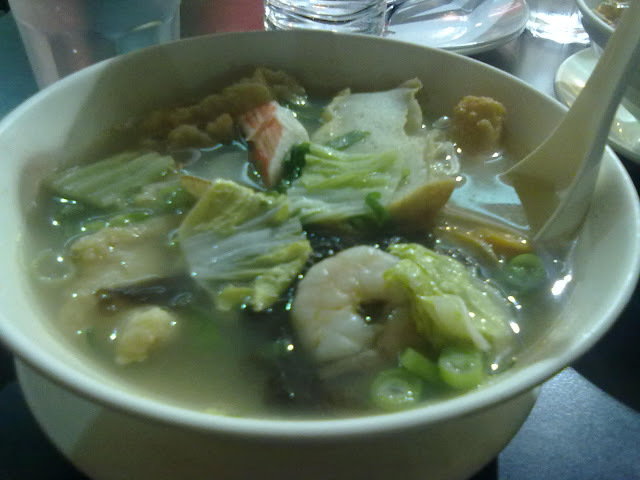 Mey Lin is obviously a Noodle House (Mall of Asia branch) and since this feature is about seafood, I got me the seafood noodle. Just ordered a snack size but I couldn’t even finish it off. The serving size is BIG, believe me. 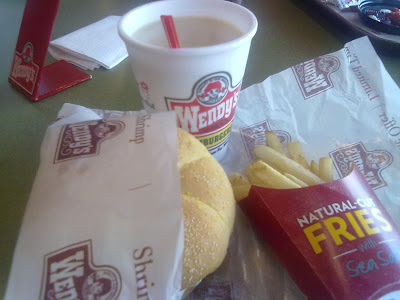 There’s an interesting story while dining at Wendy’s at Taft, Manila but I’ll reserve it for another post. For now, it’s the Shrimp burger I got for the seafood related dining drama. My dear got himself the Baconator instead. Can’t recall which stall I ordered this sweet and sour crabs meal from a recent trip but it’s one of those food outlets at the food court of Market! Market! I was there for a dental X-ray but that too is another story.